This is big news... after having the same blog since 2005 and the same online shop design since 2007, UPPERCASE's virtual home was overdue for a renovation and makeover. 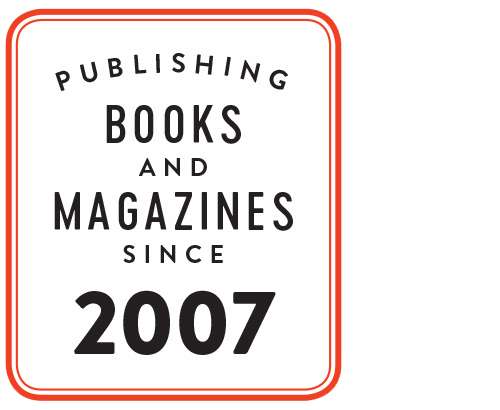 The old sites predate my professional shift from designing for clients and running a side retail business to what UPPERCASE is today, a publishing company producing a quarterly magazine and books (9 and counting...) for the creative and curious. The main site, www.uppercasemagazine.com, better highlights all the content that UPPERCASE has to offer: a beautiful new blog with bigger images and better access to past posts; more previews of the current and back issues; more content from the print magazine; more videos... the goal with the new design was to provide more content with better navigation and a clean slate design that allows the content to shine. Our online home's foundation and walls are thanks to some great web services that I have been using for years. I'm still working on the plumbing (ie database, customer management and the un-pretty but necessary things) but to have such attractive "curb appeal" is all-important to a business like mine that is largely built online. The main site and blog are hosted on Squarespace V6, the newest platform from my long-term blog host (and ALT Summit party co-host). V6 is just out of beta this week, so congratulations to all the people at Squarespace who have been working hard and have answered our numerous queries over the past weeks. The layout functionality of V6 is pretty impressive and I love the flexibility of multiple columns and content blocks. I'm sure it will just keep getting better and I look forward to even more features. The online shop is hosted through Shopify, which offers really great e-commerce solutions. I purchased one of their premium shop templates and the migration from the old site to the new site was so seamless I could hardly believe how easy it was. I'm still working on optimizing the shop for mobile devices, but the basics are there! The typographic details are extremely important to me, so I use Typekit for web fonts: Museo Slab and Proxima Nova. Proxima was designed by Mark Simonson, an UPPERCASE magazine subscriber! A big big big thank you to my left-handed right-hand man—my husband Glen—for making all those little tweaks to the CSS and getting the design details from my head onto the screen. 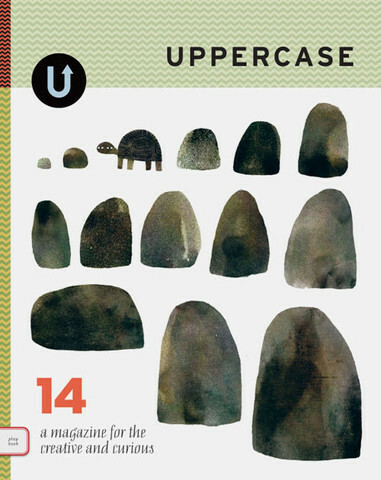 Please update your bookmarks and use the uppercasemagazine.com urls. We also have new RSS feeds and an option to subscribe to blog updates by email. (See the sidebar for these links as well as content from Twitter, Instagram, Pinterest and more.) Sign up for our newsletter for monthly updates, special offers and more content. I invite you to take a look around... It's open house—please stay awhile and enjoy yourself.